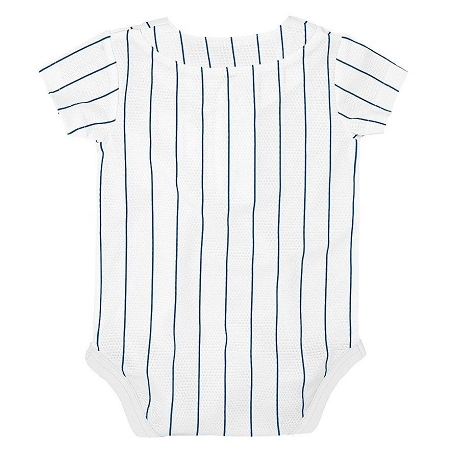 "Personalize back with any NAME & NUMBER"..."It's sooo.... adorable"
The official Chicago Cubs home pinstripe jersey by Majestic, is now available in a newborn onesie. 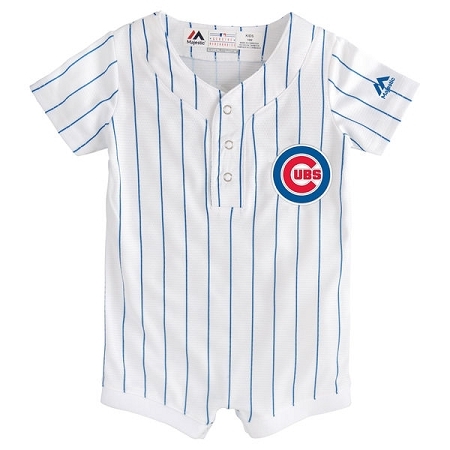 It is identical to the Cubs adult and kids jersey but in a onesie with bottom snaps. You can personalize the jersey with any personal name and number in official twill material lettering in both team color(s) and team font as worn by the players. We specialize in customizing the authentic Cubs jersey onesie using only official twill material lettering with stitching. 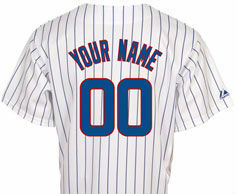 Customized name and number in the official Cubs two team colors and team letter font.